Although Google’s algorithm has hundreds and hundreds of different ranking factors, backlinks have always remained one of the strongest influences. It’s true that Google is trying to move toward a more holistic approach that focuses on the big picture, the community and social engagement, but backlinks are simply not going anywhere. They are still and will surely remain one of the driving forces for ranking different websites; therefore the ways in which companies build backlinks are becoming more and more elaborate. Because building backlinks takes so much time, many look for help from an SEO agency or a link building company. You can usually work with a company for link building purposes only (as opposed to all SEO services), and this can be a great way to earn the links you want without having to spend all of your time making it happen. Unfortunately, there are a lot of link building companies out there that try to scam you, so you have to know what signals to look for and what questions to ask before you hire. It’s first important to understand how a link building company might try to scam you. In short, link building agencies have the power to earn you a lot of links using black hat link building tactics. 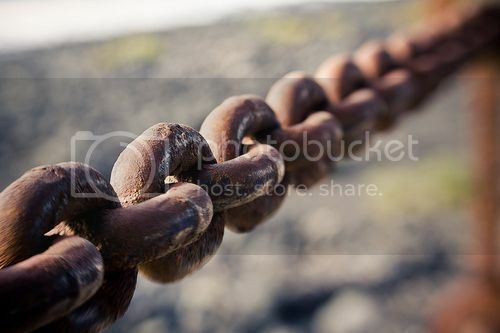 While this might get you a lot of links fast, they are not quality links and can leave you penalized with Google. You’ll have a bigger mess to deal with than when you first started. They should offer no guarantees when it comes to rankings. You will often see link building companies saying they will get you to rank number #1 on Google in just three short months (or a certain amount of time). It is impossible to know where your website will be ranked no matter how much link building you do or how successful your efforts are, so this is an immediate red flag. Any good agency knows that there should be no guarantees in this business, but rather just goals. It’s important that the company can give you estimates as to where they think you will be ranked or how many links they think they will be able to receive, but no guarantees. Do your research by asking for referrals and checking up on social media. This should be obvious, but many companies fail to really do their research when it comes to link building. If you’re new to the industry, it’s easy to think, “Well, if they don’t get me a good number of links I will just go somewhere else.” This is the wrong mentality! As discussed above, you can build links incorrectly that can get you penalized. You have to make sure that the agency you hire isn’t building you bad links. Make sure you can have a trial period before you hire the agency on full-time. Any good link building company will allow you to have a trial period before you sign any contracts. You will surely have to pay for the work they do during that trial period, but you won’t be stuck in a contract if you aren’t happy with their work. Remember to always monitor backlinks and check and see where the company is building these links (are they on authoritative sites?) as well as how (are the links through quality guest articles?). The Monitor Backlinks tool is a great way to help you answer these questions because it allows you to keep tabs on every link the company is earning as well as analyzing the quality of those links for you. Moral of the story, using a link monitoring tool is a great way to do this with little work on your part. See samples of their work first. Every good link building agency should have samples of their work to show you in case you want them to offer guest articles on your behalf (a common link building practice). It’s also a good idea to look for an agency that might specialize in link building for your particular niche. For example, if you work in the restaurant industry, it would be ideal if you could find a link building company that has experience in that industry. This would mean that the company has a lot of good sources and connections in the industry, so your link building should go faster and you can rest easy knowing that any content you may ask them to produce will be accurate. Rand Fishkin of Moz (formerly SEOMoz) explained on a Whiteboard Friday video that a lot of small businesses forget to ask if the agency can start right away. You don’t want to get yourself into a contract and realize the they aren’t able to deliver the number of articles and/or links you want during a certain time period. What do you do to make sure you’re hiring the right link building agency? Do you have experience with poor agencies in the past? Let us know your story and your thoughts in the comments below. Razvan Girmacea is the CEO and Founder of Monitor Backlinks Ltd, which is an easy to use link management tool. Razvan has a developer background and is passionate about entrepreneurship. In his spare time he helps non-tech bloggers fix their blogs. Follow Razvan on Google+ and Twitter to learn more.